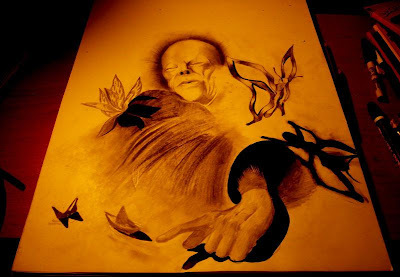 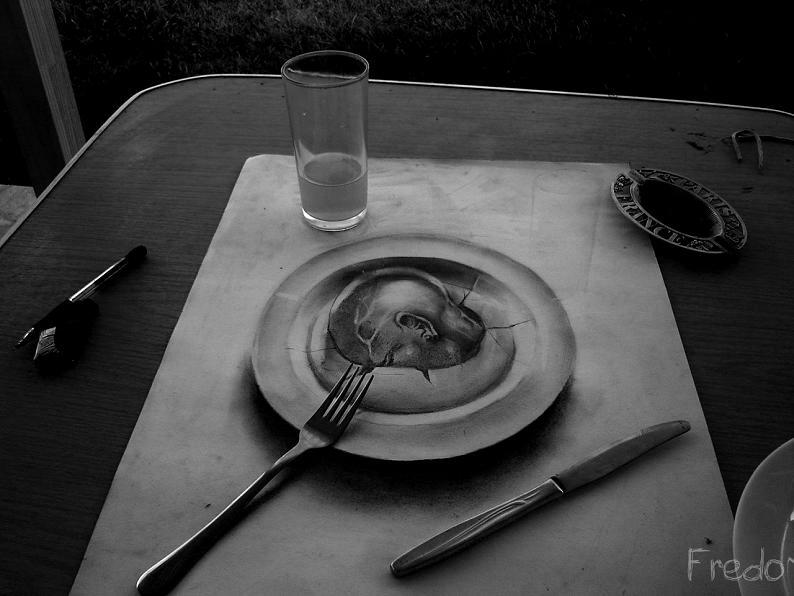 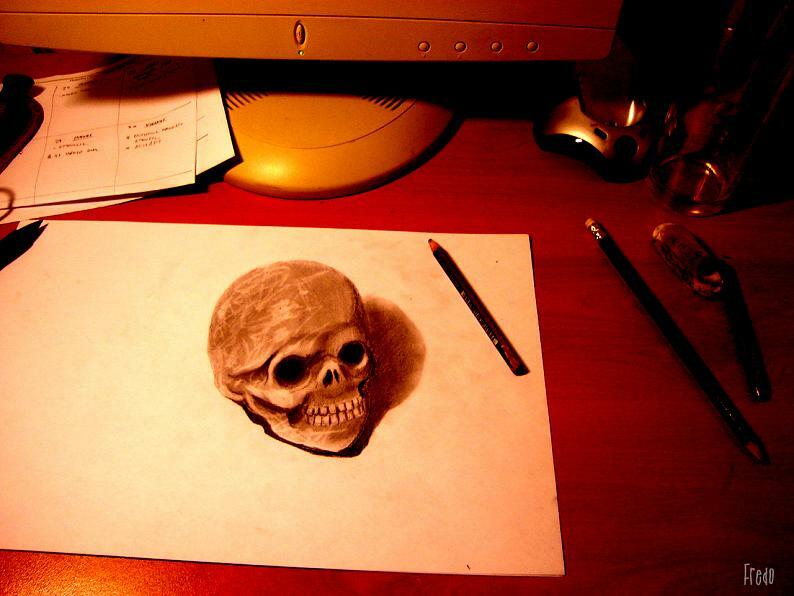 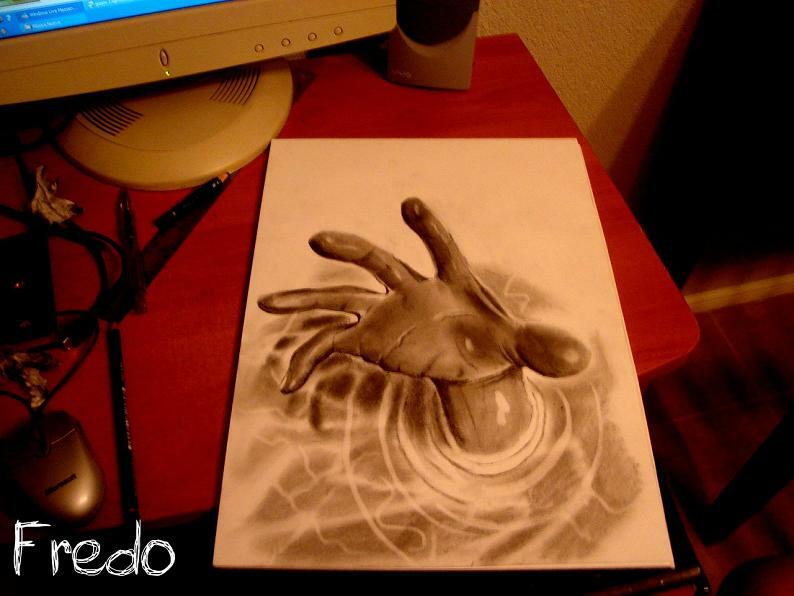 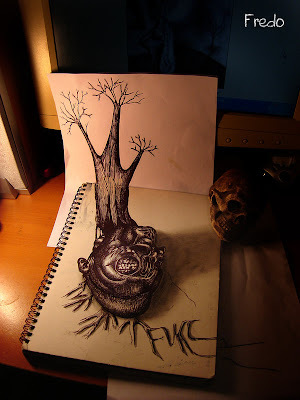 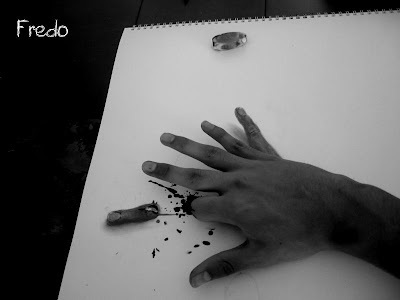 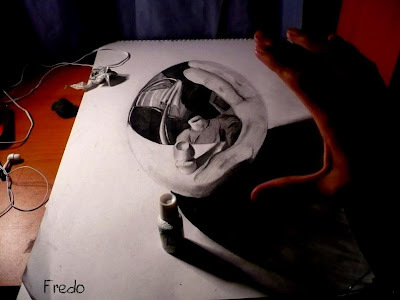 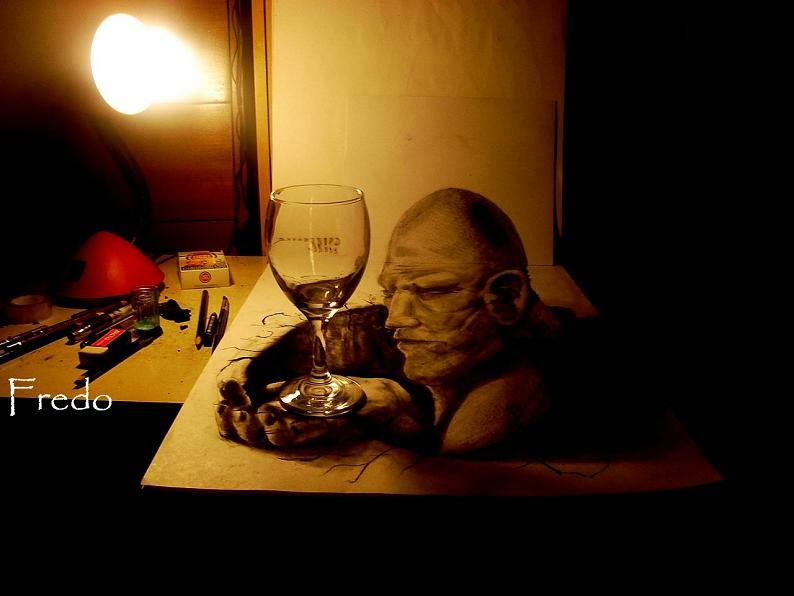 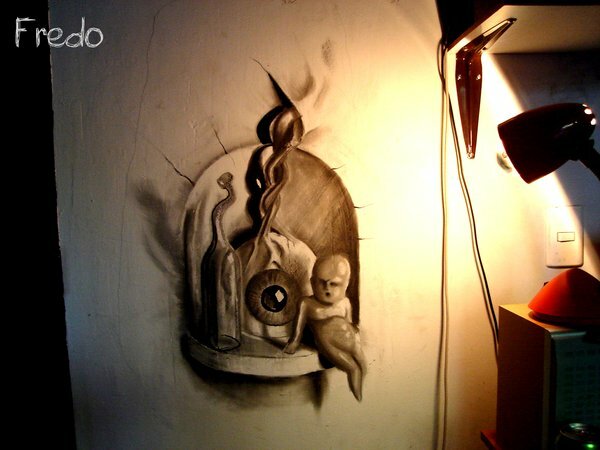 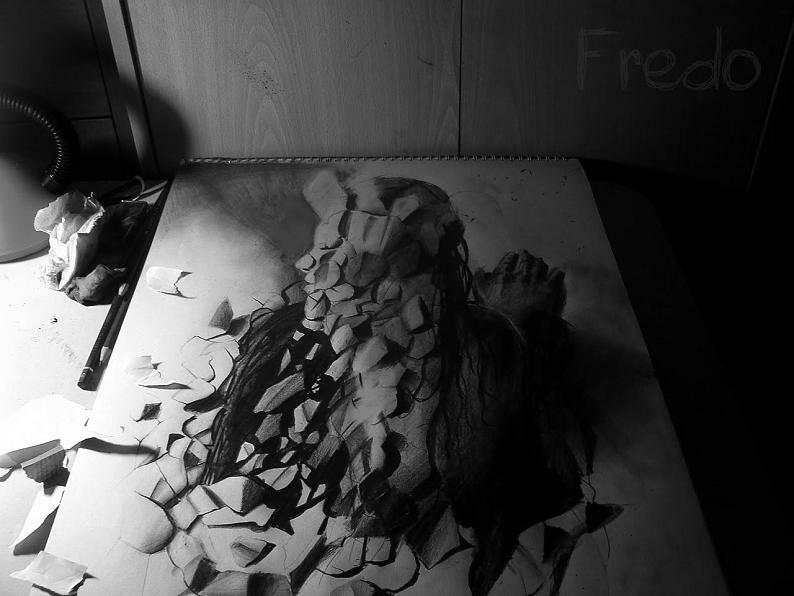 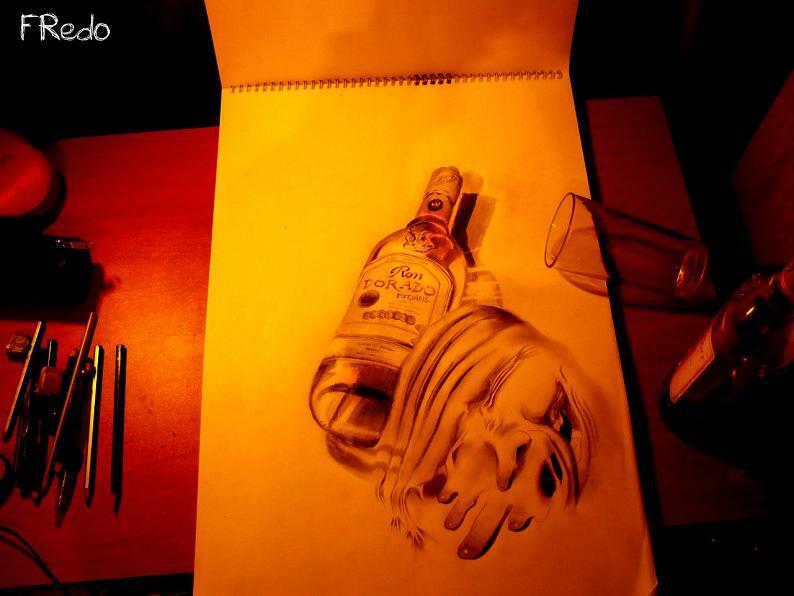 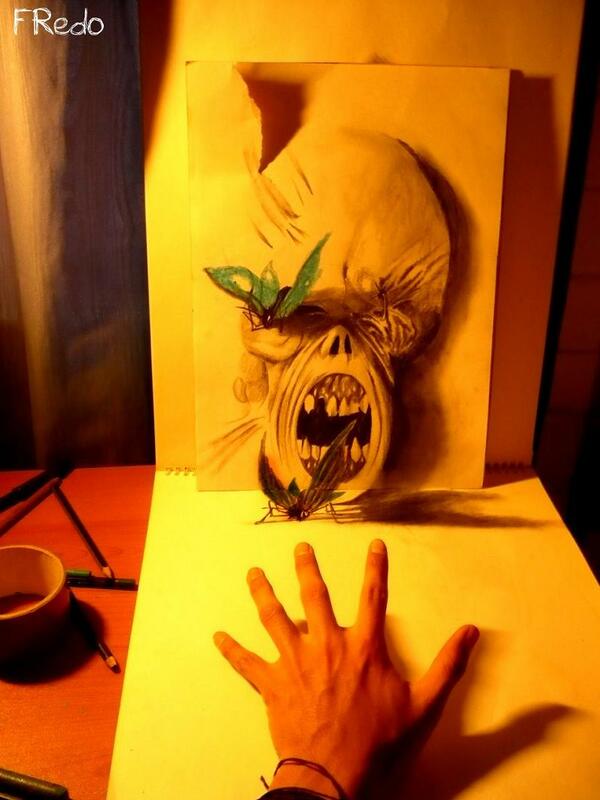 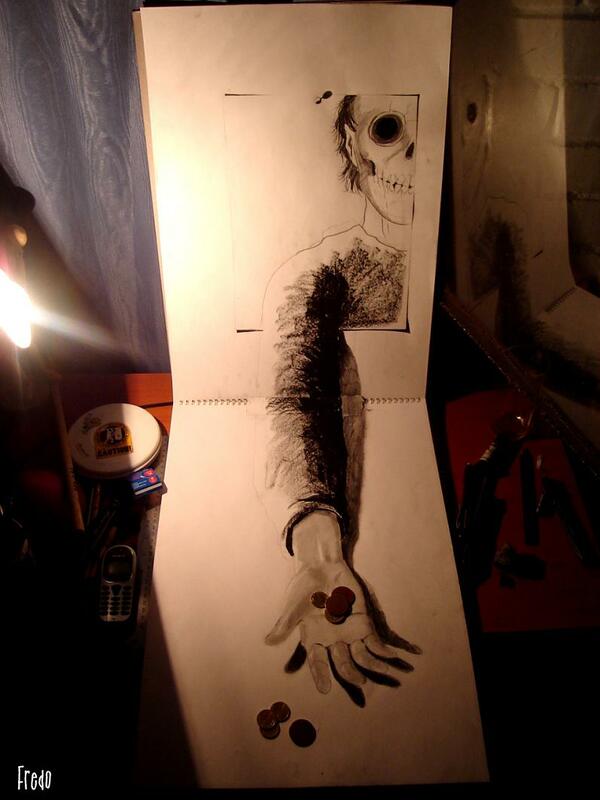 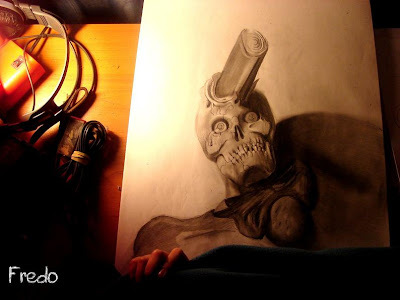 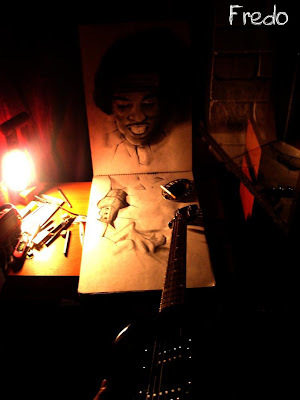 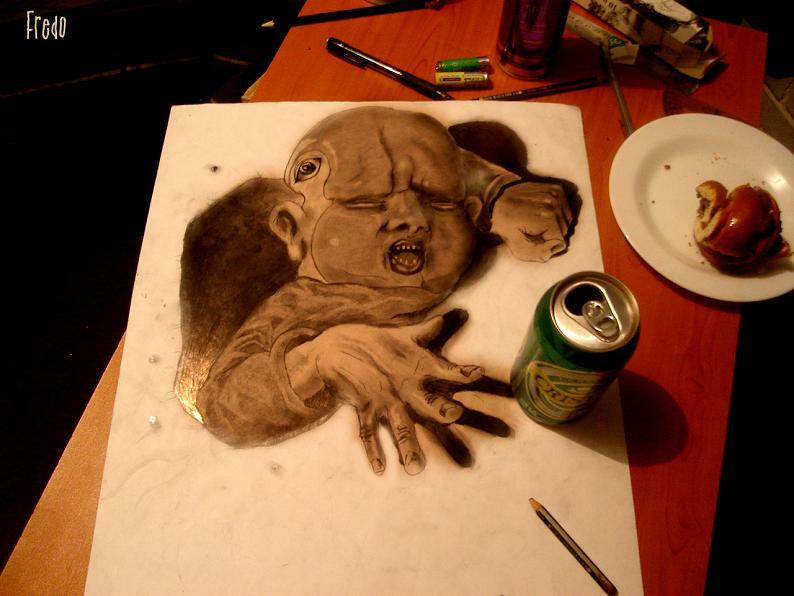 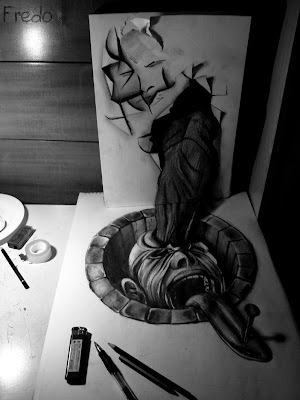 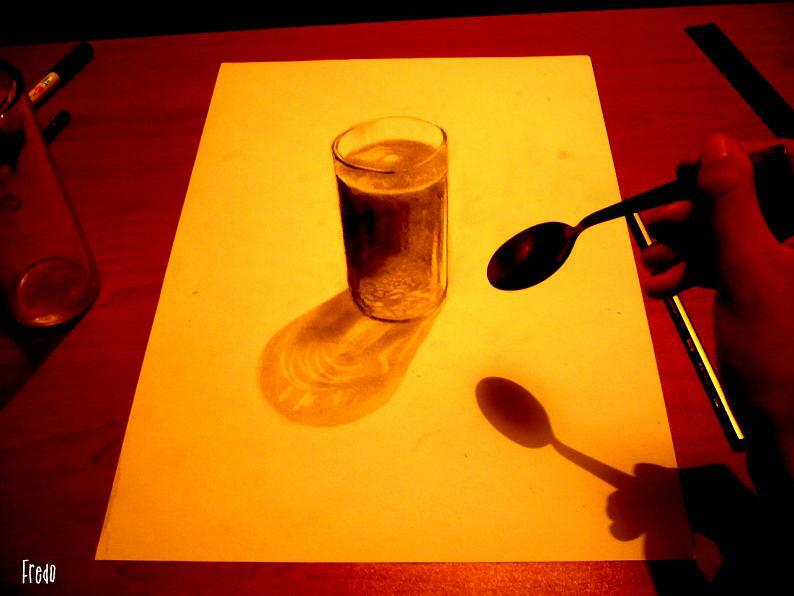 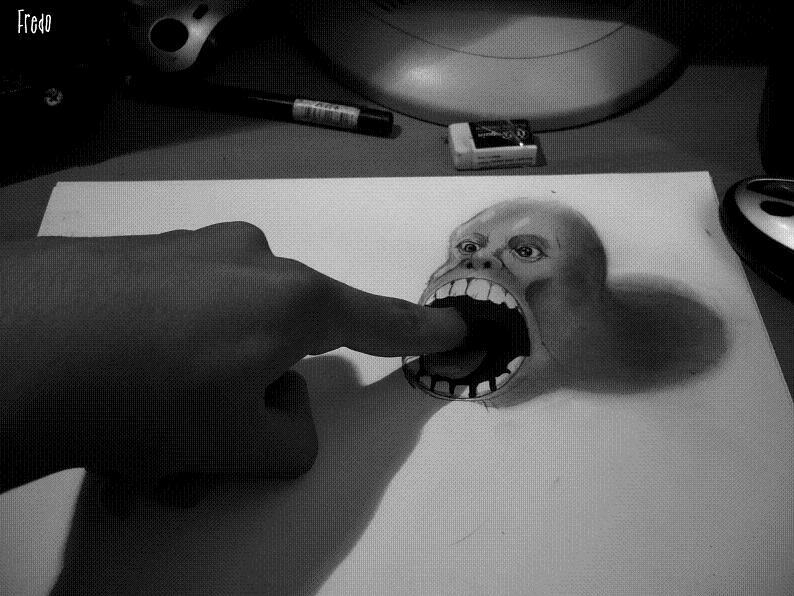 17-year-old Chilean artist, Fredo, is an incredible talent. These sketches demonstrate his wonderful creativity and patience, as perspective and depth are both difficult effects to achieve. Inspired by the greats like, M.C. 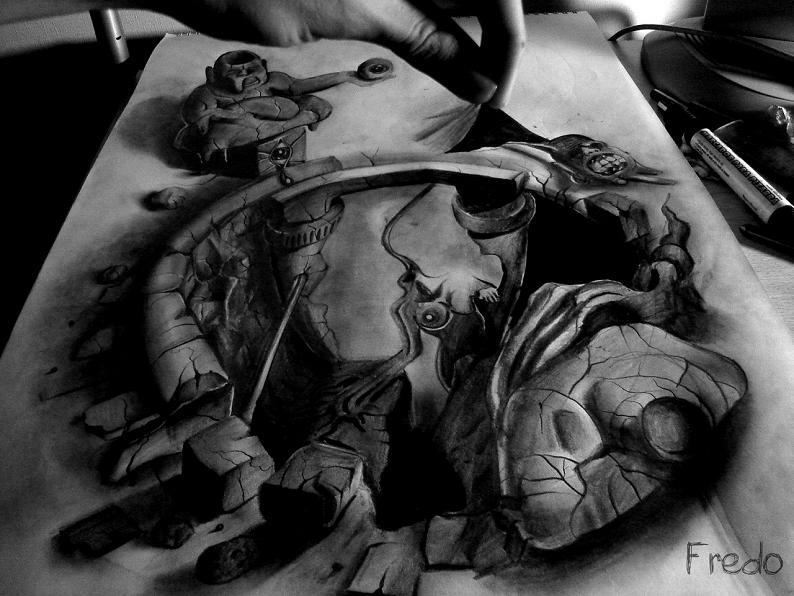 Escher, Rembrandt, Beksinski and Arcimboldo, Fredo also acknowledges music as an integral part of life and his creative process. 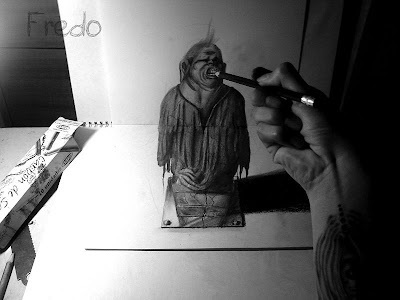 Some of his extremely detailed drawings even feature creepy goblins holding physical objects like a lighter or reaching out of the page for a soda can. 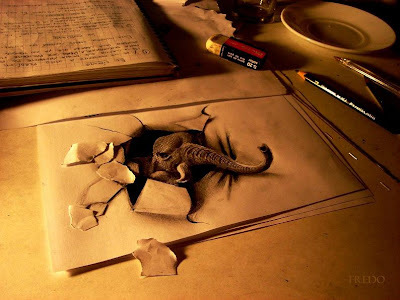 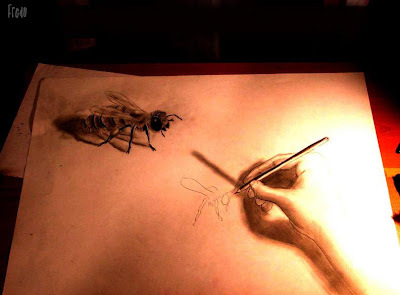 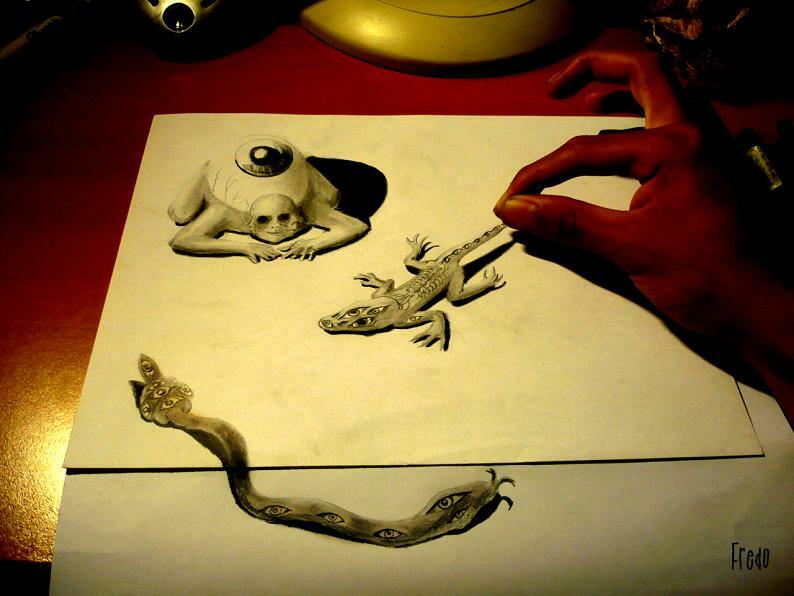 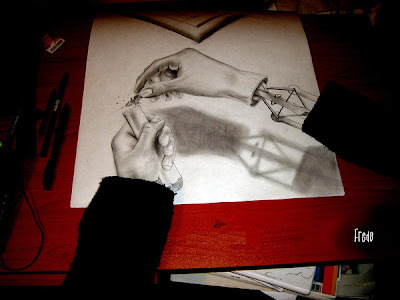 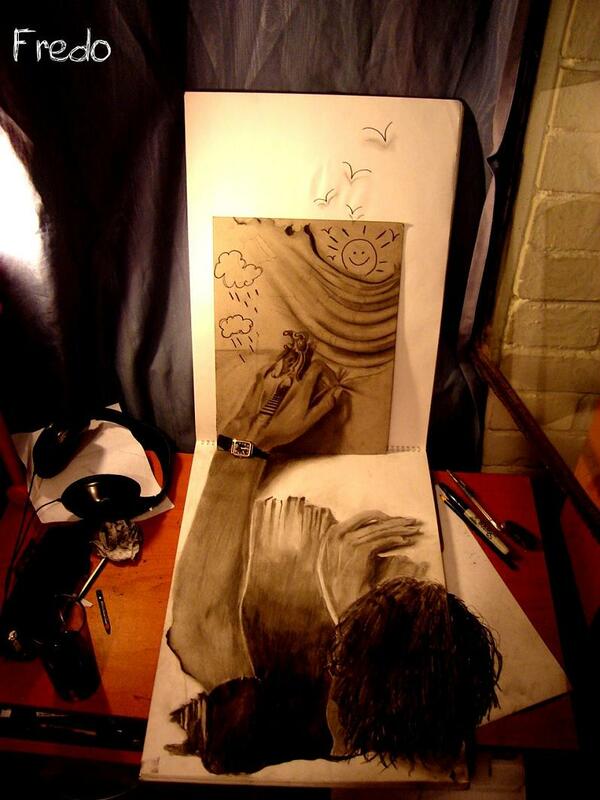 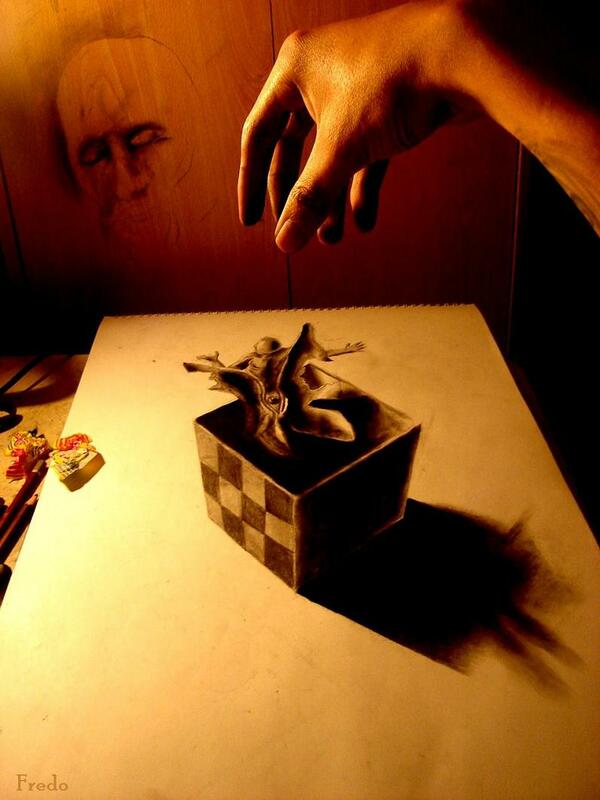 To be able pull this off, this gifted teenager not only has a powerful imagination but an extreme amount of patience and a crazy amount of talent.